WIth Dynamic Yield’s integration with ContentSquare, you can dive deeper into the main motivators driving visitor behavior on your digital properties. 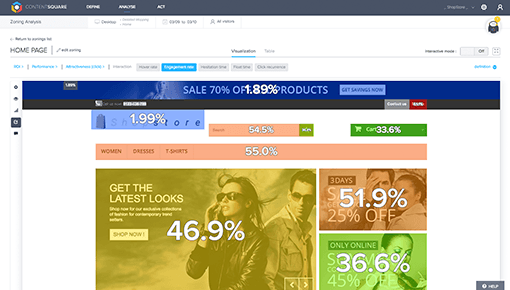 With ContentSquare’s Zone-based Heatmaps and Customer Journey Analytics, you can further understand why every Dynamic Yield experience and variation performed as it did, how it impacted your customers’ journey, as well as provide additional insight on how to further iterate and update your personalization efforts for each customer segment. – Access Zone Analytics Reports to correctly attribute conversions and revenue to the successful elements of your personalization campaigns. – Obtain proprietary behavioral metrics for every element on the page to cast light on the page’s average scroll reach and each element’s engagement levels. 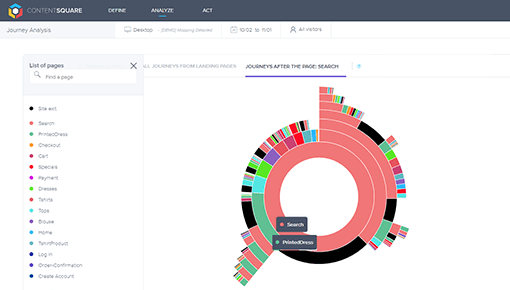 – Use conversion funnels and journey analytics to understand how every experience impacted your customers’ journey across your digital properties. Send visitor events and interactions from Dynamic Yield’s comprehensive SDK’s and server-side libraries straight into your Omniture account. 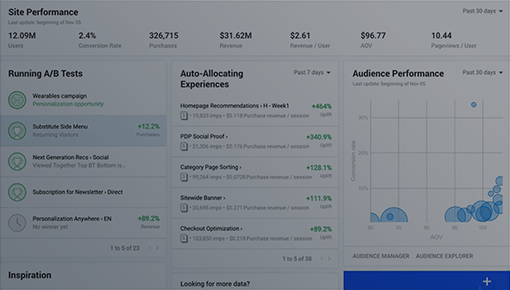 Enrich your Facebook targeting and personalization capabilities using behavioral data collected through your Dynamic Yield account.